As a two-year part time study to provide a Master Diploma with 60 ECTS credits, the CEPOL Master is the first EU academic programme which aims to address common challenges of police cooperation in the frame of internal security. The Programme is unique and complementary to the Higher Education Programme and to existing Master of Policing programmes in the EU Member States. The programme fully complies with the Bologna Declaration for Higher Education and the Dublin-descriptors. This alignment warrants the academic quality, coherence and consistency of the Master Programme. The European Joint Master Programme will strongly contribute to the establishment of a European community of practice, in which highly educated professionals will have a lasting opportunity to participate in a professional network within which they can exchange information, knowledge and good practice about European police cooperation and related subjects within the EU Area of Freedom, Security and Justice. The Master students will achieve competences in applying creative and proactive strategic leadership skills to deal with international challenges of social and organisational change. Participants will carry out (comparative) research into particular and international aspects of policing and transforming academic findings into operational recommendations, scenarios, projects plans or job devices.  30 students from 20 EU Member States, including two participants from EUROPOL, were selected in 2015 to take part in the CEPOL Master Programme running from 2015 – 2017.